But when that player still has outrageous pace and is racking up crazy goal numbers, shouldn’t he at least be considered? That’s we reckon anyway, after it was revealed in ESPN that Napoli’s Dries Mertens has a £26m release-clause, only available to non-Italian clubs, which becomes active next summer. They state that Arsenal are making him the no.1 target to replace Alexis Sanchez, who’ll leave on a free, but shouldn’t Liverpool be keeping tabs on the excellent Belgian too? 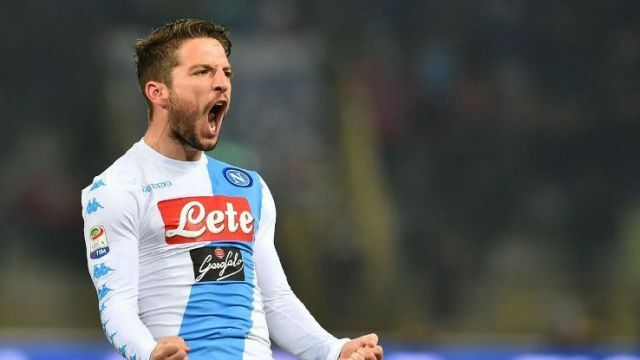 Last term, Mertens notched 34 goals in all competitions after being switched from the wing to centre-forward and looked like an absolute world-beater in Serie A and the Champions League. This season, Mertens has hit the ground running, bagging seven in eight so far. Again, it’s unlikely Liverpool will make a move. We rarely target readymade winners. But he’s an outrageously good player and one who’d automatically boost an already superb frontline – most importantly helping us finish the multitude of chances we create. Obviously, a new centre-back will be a priority, but what’s £26m in today’s market?